You Are Here: Home > 2018 INFINITI QX30 vs 2017 INFINITI QX30 | What’s the Difference? 2018 INFINITI QX30 vs 2017 INFINITI QX30 | What’s the Difference? When the groundbreaking INFINITI QX30 first hit the scene last year, it stood apart from every other small crossover on the market. The 2018 model is just as spectacular. Its swooping body lines and piercing headlights will make everyone take a second glance. However, the QX30 offers more than just dynamic styling. It is also among the most fun-to-drive SUVs in the class. Strong fuel economy and a luxurious cabin push the QX30 a few more notches ahead of the competition. Let’s take a look at how the 2018 INFINITI QX30 compares to the 2017 INFINITI QX30. Because so many drivers were impressed by the 2017 QX30’s performance, INFINITI decided not to make any changes for 2018. It comes strapped with a turbocharged four-cylinder engine, which develops an inspiring 208 horsepower and 258 pound-feet of torque. Edmunds also raves about the crossover’s quick-shifting automatic transmission. While you are behind the wheel, look forward to experiencing the crossover’s brisk acceleration. It clocked a scorching 0-60 time of 6.8 seconds. Responsive handling gives you yet another reason to choose the new QX30. Equipped with a lowered suspension, the QX30 Sport carves road corners like a sharp knife. Meanwhile, available all-wheel drive takes the stress out of traveling in snowy weather. The 2018 INFINITI QX30 continues to offer the same great features as before. Even the base model comes loaded with plenty of high-tech goodies. Featuring a multi-function controller mounted along the console, INFINITI’s InTouch infotainment is a blast to use. Voice controls help minimize unnecessary driving distractions. Some of the other standard niceties include a backup camera, dual USB ports, and Bluetooth technology. If you desire a bit more bass in your music, step up to the premium Bose sound system. INFINITI offers a few additional luxuries as well. When leaving home on a cold morning, the heated leather seats will immediately begin to warm your body. A lot of drivers will also like the available panoramic sunroof. Like the 2017 INFINITI QX30, the 2018 model is engineered to provide excellent crash protection. Your passengers will definitely be able to enjoy a safe ride. Powerful brakes give you an extra degree of protection. While the standard backup camera is a major convenience, you can opt for a more advanced Around View Monitor. Not only does this camera system provide a 360-degree view, but it also features Moving Object Detection. 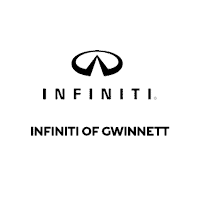 INFINITI is among the automotive world’s leaders in safety technology. When switching lanes, the optional blind-spot monitor immediately detects any oncoming vehicles. If you happen to become momentarily distracted, automatic emergency braking will provide an additional peace of mind. Intelligent Park Assist and lane departure warning are also offered. When taking a close look at the 2017 INFINITI QX30 and the new 2018 INFINITI QX30, you will not notice many differences. Very few rivals can match this crossover’s unique combination of style, performance, and luxury. To experience everything that the new QX30 has to offer, contact our INFINITI dealer to schedule a test drive.